Browse this collection of SNE-PTN materials, including webinars, fact sheets and checklists. Materials can be sorted by clinician category, file type and topic area. Details on all CMS-approved clinical data registries, including cost, submission options and measures supported. Details on all CMS-approved registries, including cost and quality measures supported. A fact sheet that describes Quality Measure Benchmarks and how to use them. 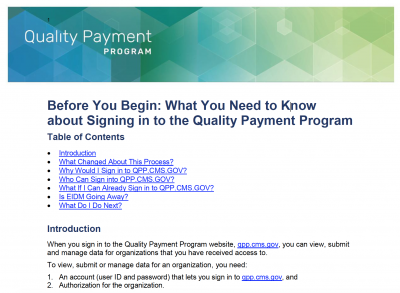 Take a look at this group of documents created to help you navigate the Quality Payment Program website and register for a HCQIS Access Roles and Profile Account. 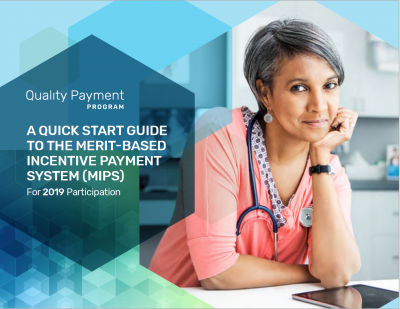 Take a look at this quick start guide to the Merit-Based Incentive Payment System for 2019 participation. 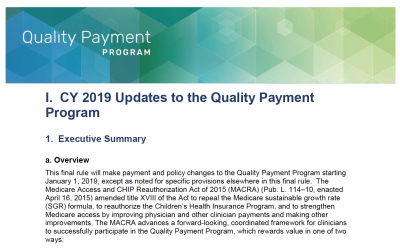 Executive summary of the 2019 Quality Payment Program. 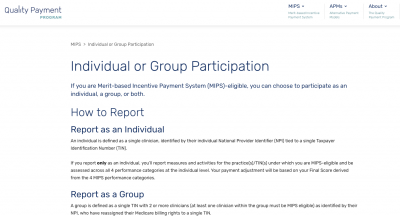 Information on registering for the Merit-based Incentive Payment System as an individual, a group, or both. 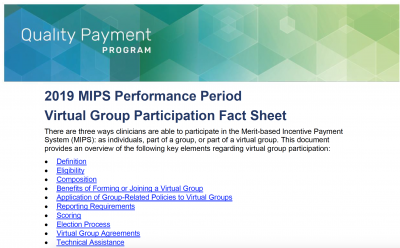 There are three ways clinicians are able to participate in the Merit-based Incentive Payment System (MIPS): as individuals, part of a group, or part of a virtual group. These documents provide an overview of the key elements regarding virtual group participation. 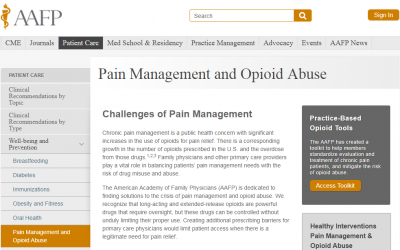 Access an opioid abuse risk management toolkit and community resources for addressing opioid related issues. A list of clinical recommendations for the use of topical fluoride for caries prevention.